The above quote combines beautifully with the other Michael Porter quote at the beginning of Chapter 4, Set Your Strategy. That’s how I see strategy in the real world. Like sculpture, strategy is what’s left over after you take things away. Michelangelo started with a big block of marble and chipped away until he ended up with the statue of David. Everything you do in your business rules out something else that you can’t do because you’re doing that first thing. Stories as strategy. That may be one of the themes of this book. 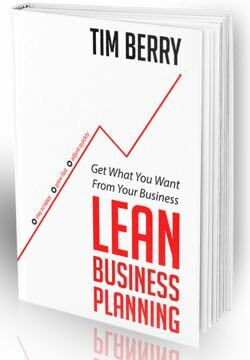 It’s not coincidence that I write about this, and I recommend Lead with Stories in Appendix A; and also Stories Matter More Than Numbers, in the additional information about business planning in general. Do a SWOT Analysis. It stands for Strengths, Weaknesses, Opportunities, and Threats. I use it a lot and recommend it. Defining Strategy Statements. Mission, mantra, vision, and what’s the difference. How to do a Mission Statement.